The stellar beaches of Ko Lanta combine to cover well over a dozen km of coconuts to sip on, hammocks to swing in and emerald water to SUP on. Long and thin, 81-square-km Ko Lanta Yai is touristy on the west coast, but it also has local character thanks to Muslim-Thai, Chinese-Thai and Urak Lawoi people whose sea-faring ancestors arrived as early as the 16th century. Watch beautifully painted longtail boats reflect late-afternoon sunlight. Attempt the chilli-laden food that steams at roadside markets. Listen to timeless calls to worship resound from the mosques. If you don’t see enough goats, rubber trees and monkeys munching on mud crabs on the east coast, cross the bridge to meet Lanta Yai’s more arcadian sibling, Ko Lanta Noi. Scandinavian backpackers found Lanta in the 1980s and word soon spread about this beach-heavy alternative to Phuket and Ko Phi Phi. A yoga scene developed as divers came to glimpse rays and whale sharks around nearby Ko Haa, Hin Daeng and Hin Mueang. These are a few sites worth checking out among the many small islands encircling Ko Lanta, from Ko Bu Bu in the east to Ko Rok in the distant southwest. Do check some of them out on a boat trip, as the snorkelling around Lanta itself is nothing special. Lanta can be a lazy beach bum’s dream thanks to plentiful budget rooms, a ban on jetskis and few speedboats piling up along the sandy expanses. We’ve walked them all, and they are long. Erosion has reduced northern beaches to slender strips at high tide, but low tide reveals carpets of sand as wide as a few football fields. Wildlife and wildflowers thrive in tropical jungle on the spine-like ridge that threads the interior, although trekking options are few and Lanta does not have the limestone-cliff topography that delights climbers on nearby Railay and Phi Phi. Still, beyond the main drag of the northwest with its ugly concrete stacks, Lanta is a beauty. She shines brightest in the southwest, where steep slopes of stone and flora descend to beaches that we rank among, or close to, the most beautiful in Thailand (looking at you Khlong Jak). Even in the northwest you’ll see no big box stores or traffic lights, and seediness is kept to a minimum. Island wide, hundreds of lodgings range from 150-baht dorms strung up with twine to 1,200-baht apartments with full kitchens and 30,000-baht villas that have accommodated Thai royalty. In all budgets, stiff competition equals great value. Though it blinks loud enough on the mass tourism radar, Lanta still stands as a buffer between the full-blown overdevelopment of Phuket and the packed party scene of Phi Phi, filling a role among Thailand’s Andaman Sea islands that’s similar to Ko Pha Ngan in its relation to Ko Samui and Ko Tao over on the southeast (Gulf) coast. Swedes make up a notably large percentage of tourist arrivals. Overall we’d say people on Lanta are not as friendly and warm as on nearby Ko Jum, an alternative to the alternative, but we’ve met plenty of good people on Lanta. Some are environmentalists who for years have protested a coal power plant project that Thai government authorities have long planned for the nearby mainland. Though delayed in 2017, a spokesperson revealed in early 2018 that the project had not been cancelled. Locals still worry that polluting coal barges and smokestacks will inflict irreparable damage on an environment that already faces huge challenges, from dying coral to tidal garbage. Check out lantaeconews.com for more on these and other initiatives, and don’t be shy about getting involved—Lanta needs all the help she can get. When off the beach on Ko Lanta and other inhabited islands in the vicinity, do respect the predominantly Muslim islanders by covering up those Speedo and bikini bods. As a tourist, stomping around scantily clad through villages where many residents wear traditional Muslim attire is not a respectful look. Lanta Animal Welfare (LAW) does fantastic work caring for stray cats and dogs at its headquarters near Haad Phra Ae and beyond. Stop by to take a tour, make a donation, volunteer long term or get lost in kitty korner. The yellow-shirted Trash Hero crew gets together on Sundays to clean up a different beach on Ko Lanta—ask around or check out the Facebook page for latest meeting points. Look for this organisation fighting tidal garbage throughout the Thai islands and beyond. Set in the southern part of Krabi province, Ko Lanta is well positioned near the centre of Thailand’s southwest coast, around 25 km east of Ko Phi Phi. Her southern tail reaches within sight of Ko Rok, Ko Ngai and Ko Muk down in Trang province, and ferries run as far south as Malaysia’s Langkawi Island from Lanta. To the north, Ko Jum, Ko Si Boya, Krabi town, Railay, Ao Nang, Ko Yao Yai, Ko Yao Noi and Phuket are all a boat ride away as well. Nearly all visitors arrive at Baan Saladan, a north-coast town that switched from fishing to tourism over the past few decades. Completed in 2016, the Sri Lanta Bridge cuts east from Saladan to pastoral Ko Lanta Noi and the car ferry connecting to Hua Hin Pier on the mainland, which is 70 km south of Krabi town and 90 km northwest of Trang town. A second bridge project is planned, but there was no sign of construction as of early 2019. The main west-coast drag also begins in Saladan and runs straight south past Haad Khlong Dao, a heavily touristed beach with some of Lanta’s longest-running resorts and a wide selection of food and drink. A little further south, Haad Phra Ae (or Long Beach) also reaches to around three km but is less cluttered, with backpacker villages found at both the northern and southern ends. Continuing south and nearing the centre of the island, Haad Khlong Khong is rather shabby when compared to most of Lanta’s beaches, but it hosts thumping beach parties and a younger scene than elsewhere. Next are Haad Khlong Tob and Haad Khlong Nin, two lovely beaches stretching from either side of Khlong Tob village, home to a large mosque and some good street food. At Khlong Nin the road narrows while cutting into Lanta’s sleepier southern terrain. Upscale Ao Ba Kantiang is gorgeous, though we prefer the next beach south, Khlong Jak, for its similarly silky sand backed by hiking trails and a few good bungalow joints. South of that is remote Ao Maipai (Coconut Bay), whose roughly two-km length hosts only three places to stay. Then some hilly turns take you to the island’s far southern tip and the headquarters of Mu Ko Lanta National Park, where a lighthouse watches over the sand of Ao Tanod in some of the finest scenery on the island. The main cross-island roads are found to the north at Saladan (pass the bridge and keep going south); near the southern end of Haad Phra Ae; and south of the mosque in Khlong Tob village. On the east coast you’ll find sparser traffic, a lot more cows and a few points of interest, namely the Thung Yee Pheng mangrove forest, the Old Town and the Urak Lawoi village of Sang Kha U. Peak season runs from late December through February and the island gets packed around Christmas and New Year. The shoulder periods from 1st November to 20th December, and 1st March through the end of April, are good times to score deals while enjoying good weather most of the time. 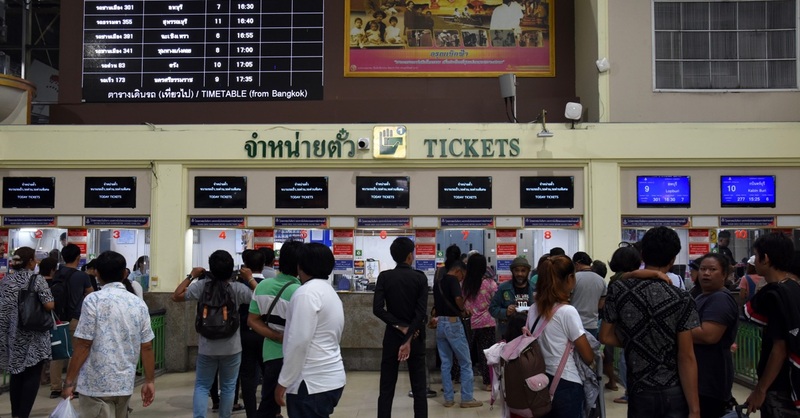 Rainy season tends to arrive gradually from April into May and Lanta becomes notably quiet from June through October, when room discounts of 75% are common. The sea can be dangerous during the rainy months—keep an eye out for riptide warning flags on the beaches. At least one “international” medical clinic stands in each of Ko Lanta’s main beach areas from Saladan down to Khlong Nin, and a small public hospital is located on the east coast. The main district police station is in Saladan, a few hundred metres inland from the bridge, and every major beach has a small police box on the main drag. A Tourist Police office stands on the main drag in Haad Phra Ae. ATMs and currency exchange booths stand in all main beach areas from Saladan down to Ao Ba Kantiang, and you’ll find full-service Thai bank branches on the main drag from Saladan to Haad Phra Ae. WiFi tends to be slow throughout Ko Lanta, but the 4G signal on our phone worked fine along all main roads. The central post office stands on the main drag in Haad Phra Ae, with smaller postal outlets found in Baan Khlong Tob and the Old Town. The Koh Lanta Pocket Guide is one of the better locally produced travel guides we’ve come across in Thailand—do pick up a copy at the pier. Also worth a mention is amazinglanta.com, run by (disclaimer!) old friends of Travelfish with decades of diving and travel experience in the region. It provides reliable private transfers and will even help you find a long-stay villa. 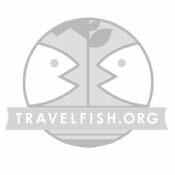 Please sign up as a Travelfish member to download the Ko Lanta guide PDF (21.9 MB, 93 pages). Membership costs just A$35 per year (less than A$1 per week) and gives you access to over 250 PDF guides.  Use the above map to find specific destinations in and around Ko Lanta which are listed on Travelfish. Bed icons indicate a guesthouse, hostel or hotel, the knife and fork is an eatery or bar and the four-way circular thingy marks sights, attractions and other points of interest. Click on any icon for a short pop-up and a direct link to the page for that spot. If you are in the area, use the teardrop icon near the top left to show your position on the map (you'll need to allow position sharing for this last feature to work).